I've written before about CEO coaches. I'm a big fan of the work they do and how they can help entrepreneurs work on things that are holding them back from being the best leaders they can be. There are a bunch of CEO coaches I can recommend. 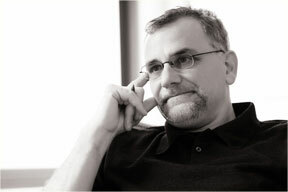 But my favorite CEO coach is my former partner at Flatiron Partners Jerry Colonna. Jerry is a special person. He's had three careers before the age of 50. He's been a hugely successful journalist, venture capitalist, and now CEO coach. At his core he is a "people person." When Jerry and I started Flatiron, I was all about the technology and the deal. Jerry taught me to focus on the people, not only who they are and what they've done, but what makes them tick. And now Jerry has a blog. He's tried blogging before but has never stuck with it in the past. I hope that's not the case this time because a morning dose of Jerry would be good for all of us. He calls it The Monster In Your Head. As Cameron, founder of Blogrollr, said to me yesterday "that's a great name for a blog". Yes it is. I suggest you all check it out, not just today but on a regular basis.